UK investors are increasing their proportion of investments to sustainable companies. Out of 22,000 people globally, and 1,000 in the UK, nearly 80% claim that sustainable investments are now of high importance. As expected, it varies across generations, with 86% of 18-35 year olds (millennials) compared to 67% of 51-69 year olds (baby boomers). Part of the reason that millennials are more eager to invest ethically is the sense of urgency, brought about by an exploding population, lack of resources and climate change. Research released recently in a YouGov poll of over 2,000 people revealed that millennials are becoming increasingly conscious of their investments and whether they have a positive impact. Whilst not an overwhelming majority, over 44% of millennials believe that investing ethically could help create positive social change, compared with only 34% of investors in general. Areas of particular concern picked up on in the data include how to avoid a climate crisis, and the effect of current ethics practises on the fate of future generations. “Often people mistakenly believe they will be penalised with poor returns if they have strong ethical values when it comes to investing” according to the Investment Director for Quilter Cheviot’s Climate Assets Fund, Claudia Quiroz. She believes that millennials understand that you can still get strong returns by making more ethical investments and thinking about the impact your money makes. It is irresponsible to assume that older generations are unconcerned with some of these issues. Earlier data released by Social Enterprise UK corroborates many of these points above but for the wider public, with a particular focus on businesses being more transparent and socially responsible. 53% of British adults want it to be a legal obligation for businesses to provide a balanced view on the impacts they have on society and communities. 16% believe that businesses already have enough work on their hands without having to worry about social responsibility but 49% disagree. Bonny Landers from Saindaire, which offers expert investment counsel, has several clients coming to the end of their careers, who want to do something beneficial with all of their money. 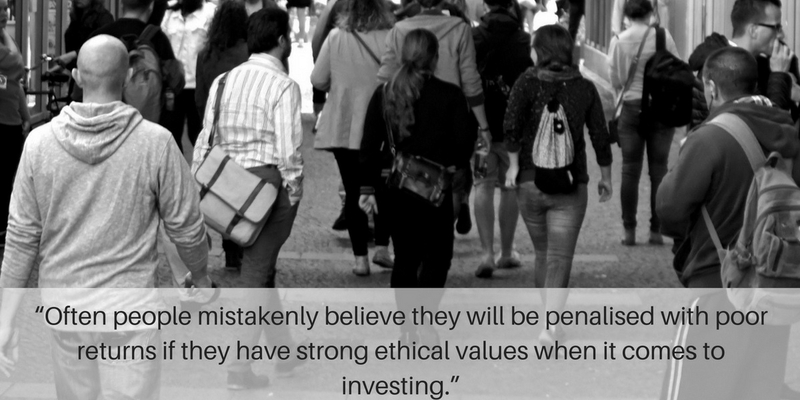 In general, ethical investing appeals to a more multi-faceted audience than first assumed. 40% of British adults feel there are not enough businesses with social responsibility in the UK. Homegrown is a property crowdfunding platform that focuses on building brand new residential and mixed-use developments in the UK. The shortage of housing is an issue well recognised and we at Homegrown believe that even the smallest of investments can lead to positive social change by building brand new homes, including affordable units. If you would like to find out more about Homegrown, sign up.